Quick — what would you do if you had an extra $100,000? If your downtown Boston condo owner is in need of major repair, or if you have a life event that could use a cash infusion, you may be looking at taking out a home equity line of credit, refinancing your Boston midtown condominium, or selling. Which is better, and really – what should you be doing with that money? “Home Equity” is, simply, the cash value that your home has built over time. It’s different than putting money in a piggy bank, because it’s not just the monthly mortgage payments you make — in a strong market like Downtown Boston condo market your home grows in value just by sitting there. There are a few different ways to access that equity, and each has its own advantages and disadvantages. Which one is best for you will depend on what your end goal is. A recent CNBC report found that US homeowners gained a collective $570 billion on their homes in 2016. That means 39.5 million homeowners have at least 20 percent equity in their homes, according to Black Knight Financial Services. That’s enough equity to qualify to borrow it back in the form of a refinance or a home equity line of credit. According to Bankrate.com, the #1 use of home equity is for remodeling. It can be a smart strategy, especially in places like Boston Midtown where the perfect downtown condominium can be hard to come by: Buy a Boston Midtown condo that needs a little work, wait a few years until some of the mortgage has been paid off, then borrow that money back to do the needed remodeling. Keep in mind, sometimes contractors charge their clients based on how busy they are. They are really busy in the summer, but not as much in the fall and winter months. It makes sense to use home equity to further improve the value of your downtown Boston condo. Homeowners get a little bit more creative in what they spend the money on, though, which can lead to problems down the road, depending on how they are tapping their equity. College education or a career change can be another use of home equity, with the idea of earning more money and paying off the entire home loan sooner. Other borrowers use the cash in their home to reinvest at a higher return than they’re paying in interest. These uses are less advisable, says Bankrate, because of the higher risk. Finally, it is never advisable to use the equity in your home to pay off credit card debt. Doing so does not address the root cause of the financial trouble, and is most likely to result in the loss of your home. Smart borrowing starts with understanding the different ways you can tap into your home equity. Which can help you out, and which can hurt by putting your Boston Midtown condominium at risk? Finally, would it make more sense to simply sell your home and put some of the equity toward your financial need, and the rest toward another home? When you first bought your home, it may not have been under perfect circumstances. Your credit may not have been good enough to qualify you for the best interest rates. You may have taken out an adjustable-rate mortgage that is consistently higher than the fixed-rate options out there. Or, you may been so enthusiastic to own your first home you didn’t think long and hard about the financial implications (and you didn’t have an honest buyers’ agent to keep you from spending more than you could afford!). Luckily, you can refinance by taking out a new loan for what you currently owe on your home, or for slightly more if you need to tap into some of that home equity. Refinance loans come in many different stripes and colors. They do have high closing costs, so depending on the loan you could be looking at one to five years to recover the difference between those costs and your current interest rate. Try the refinance break-even calculator, provided by MortgageLoan.com. If it’s going to take longer to break even than you plan on staying in the Boston downtown home, it would make more sense to wait until you’re ready to sell. Refinancing usually comes with a boatload of fees, while selling your home — especially in this market — can give you immediate financial relief and allow you to start over with a home and a mortgage that works for your budget. A home equity line of credit is a loan you take out using your Boston Midtown home as collateral. Generally, closing costs are lower on these loans than on a mortgage refinance, but the interest rate is often higher. Because they don’t take quite as long to approve, they are considered a source of “quick cash” for many homeowners. However, they must be paid back quickly to avoid paying more in the long run. 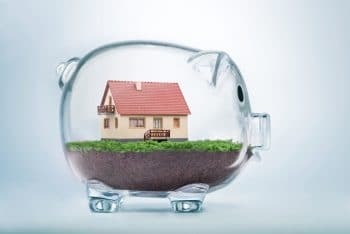 In other words, if you are looking to take out a lot of money, be sure you can pay it back quickly with a home equity line or you’ll end up paying a lot in interest over the years. If you are thinking of moving someday anyway, why not start over with a newer Boston Midtown high rise condo instead of remodeling? You can get the finished product without the hassle. If you are ready to downsize, why not sell and keep some of the extra? Selling your Boston Midtown condominium is a low risk option. Typically you spend nothing (while the real estate agents spends their own money to market your home) and you only pay if you sell. The balance you’ll earn should be explained up front and is easy to calculate. There are lot of options to make your transition to a new property as painless as possible. Contact our sellers’ team today for a comparative market analysis. We’ll let you know how much your home can sell for in this market — no fees or charges! This is vital information to have before you make the decision to refinance or take out a line of credit against your home. Right now, homes are selling in 38 days or less in Boston. With reasonable commissions and simple contracts, we make it easy.